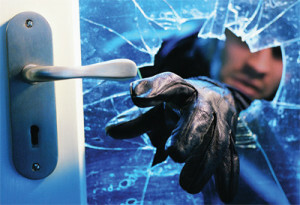 Protection from glass-related dangers begins with Safety and Security window films. The risk of personal injury due to a glass-related accident could weigh heavily on the mind of any business or property owner. Safety and Security films are specially designed to help hold a broken pane of glass together, keeping dangerous shards attached to the film’s adhesive system. Acting as a thin barrier, these films prevent flying shards of razor sharp glass from becoming a danger. Safety & Security films are advocated by many nonprofit consumer safety organizations as an effective way of protecting against glass-related injuries. Whether you are concerned about sustaining damage from a natural disaster or simply wanting some protection against criminal activity, Safety & Security films will work for you. An exterior application that protects surfaces from permanent damage caused by vandalism. Anti-Graffiti Films act as an invisible shield against graffiti and tagging (deliberate scratching of glass with a sharp instrument.) The film is made with a specifically designed mounting adhesive that makes it easy to remove and replace with a fresh layer of protective film. Anti-Graffiti Films are a cost-effective way to protect your property and prevent the need to replace expensive glass. Engineered with powerful adhesives, these films are thin, clear, polyester films which are laminated to the interior surface of your windows or doors. When professionally installed by a Solar Trends qualified specialist, this clear product provides lasting protection that you can’t even see. However, Safety and Security Film is also available in tinted and metallized versions offering added benefits such as increased privacy, protection from glare and ultraviolet light, reduced energy consumption and a uniform appearance to your home or building.